A few weeks ago I saw a picture on Instagram featuring one of my favorite combinations of dessert flavors (pistachio, chocolate and orange). I think it was just a few days later that someone on Facebook asked for my opinion about incorporating hazelnuts into a recipe for some cookies they were planning on making. I am not always able to trace the meanderings of my thinking as far as food is concerned, but I’m fairly certain it was the proximity of these two virtual food interactions that put it in my head to rework an old chocolate hazelnut cookie recipe into a new chocolate pistachio cookie (with white chocolate chips and orange zest). Such is the working of my mind…and the influence of social media…. Even without including the effect that social media has had on my cooking life, For Love of the Table has changed my life in a lot of ways. I mention all of this because on this date--the anniversary of my first post--I always take a moment to stop and reflect on this thing that has become such a large part of my life. It has now been eight years…and I’m still at it. I don’t post as often as I once did (I’m not sure where I found the time! )…but I persist, nevertheless. I truly love writing about the things I am learning and making in my kitchen. And it continues to be my hope that those who visit will learn something…cook a lot…and share the delicious foods that they make with their family and friends. For those who might not have been here for other anniversaries, I have also made it an informal tradition to make something with pistachios to mark the date. 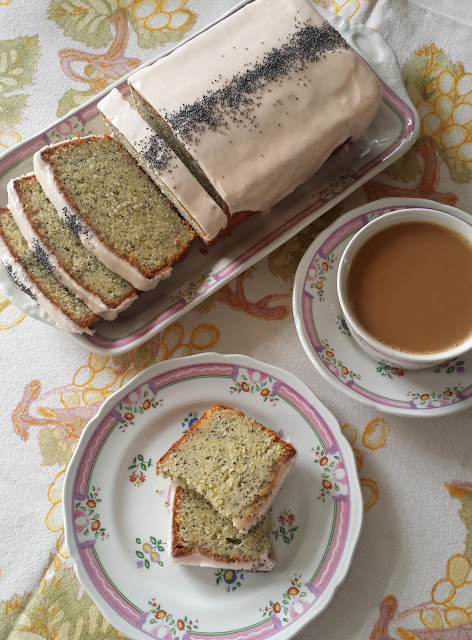 There is nothing special or significant about pistachios...other than I happened to make a pistachio cake on the first anniversary... And I happen to like them. The fact that my anniversary was approaching is of course the other reason the Instagram image and the Facebook conversation would have made me think to make these chocolate pistachio cookies. And I'm happy I did. They are delicious--soft and chewy....chocolaty and sweet...with a delightful pop of orange--a surprisingly special little cookie. The orange flavor in these cookies is a wonderful surprise—don’t leave it out! If you like dried fruit in your chocolate chip-style cookies, I have made these with dried tart cherries. The cherries add some nice tartness…and a pleasant chew…but they also tone down the sweetness of the cookies (which could be good or bad…depending on your perspective and tastes). Spread the pistachios on a baking sheet and toast in a 350° oven until fragrant and just beginning to be tinged with color—about 5 minutes. Let the nuts cool. Take 1/2 c. of the pistachios and chop very coarsely. Set aside. Take the remaining 1/3 c. (45 g.) of the nuts and grind them flour-fine. (A rotary nut grinder works best for this, but in a pinch you can grind them in the food processor if you add a couple of tablespoons of the granulated sugar. If using the food processor, you will not be able to grind the nuts as finely—they would turn into nut butter if you tried. If this happens and you end up with nut butter, add the nut butter with the unsalted butter, not with the dry ingredients…) Whisk the nut flour together with the all-purpose flour, cocoa, baking powder, baking soda and salt. Set aside. Cream the butter with the sugars and zest just until smooth. Scrape down the sides of the bowl, and beat in the egg followed by the vanilla. Add the dry ingredients and mix on low speed until just combined. Add the chocolate chips and the reserved 1/2 c. of pistachios as the last of the dry ingredients are absorbed into the dough. Scoop the dough with a level tablespoon-sized cookie scoop. Roll the scooped cookies into balls. You can bake these immediately, but I think they taste better—and have a nicer texture—if the dough balls are chilled overnight (or frozen for longer storage). When you are ready to bake them, place the balls of dough on a parchment-lined baking sheet, spreading them 2 inches apart. Flatten the balls slightly (if the dough has been frozen or chilled, you will need to let it sit at room temperature for a few moments so that it will soften enough to do this). Bake the cookies in a 350° oven for about 8 to 9 minutes, turning the sheet half way through the baking. The cookies are done with they have puffed up and have lost their wet sheen. They will also have begun to crack slightly. Remove them from the oven at this point. (You will think it's too soon, but take them out anyway. You can always bake the next batch longer…and these cookies are so much better when they are soft and chewy. They will be hard and crisp if baked too long.) Leave the cookies on the sheet for two or three minutes (they will be too soft to remove right away). They will collapse slightly and then firm up enough so that you can remove them from the sheet. Transfer the warm cookies to wire racks to cool. For Tart Cherry Variation: Instead of 1/2 cup each of dark chocolate, white chocolate and pistachio, add a rounded third cup each of dark and white chocolate, pistachios and dried tart cherries. I missed this one. Yummy! Thank you for taking a minute to comment! Just recently I was wondering how you were doing (it's funny how things sometimes cross our minds!). I hope you are well. I'm so glad you continue to enjoy the things I post. Please tell Dennise that I said hello...and that I miss her...the next time you speak.